One of the most common issues faced by expatriate couples is the impact on the career of the spouse. 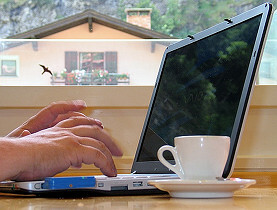 In many expatriate locations, specialized jobs similar to what the spouse had previously held simply do not exist. This can be a critical issue in moving to another country. 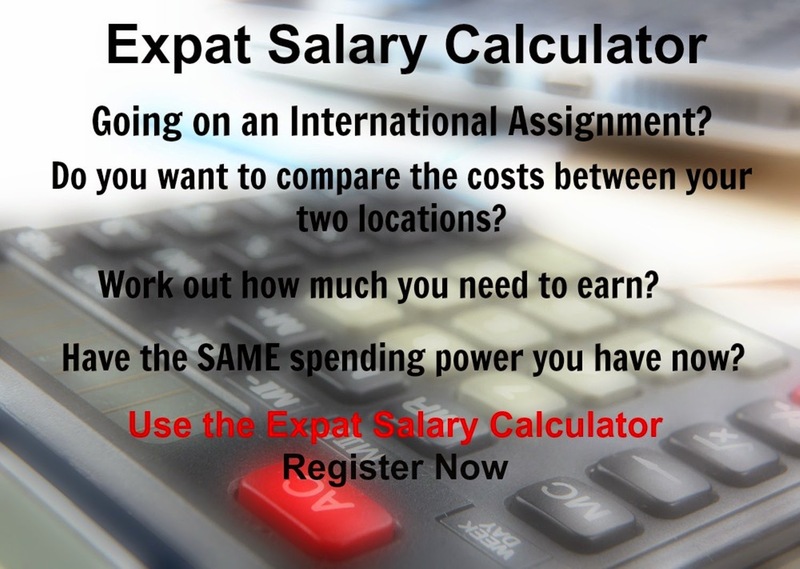 The potential loss of earnings, the prospect of having outdated skills on returning home, as well as the adjustment to becoming a stay at home spouse can become issues that bring an expatriate assignment to an early end. 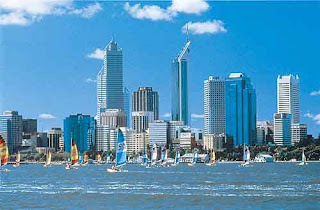 Perth is the capital and largest city of the Australian state of Western Australia and ranks fourth amongst the nation's cities, with a growth rate consistently above the national average. The climate is hot with Summer temperatures rising to 36°, with 10 hours of sunshine daily and hardly any rain, while Winters are mild, with hot, sunny and clear blue skies. Perth can experience high winds and fierce storms and at these times there are risks of flooding from the Swan River. The city also sits close to Australia'a most active earthquake zone. Economically it dominates the Western Australian economy by virtue of its population and its role as the administrative center for business and government, despite the major mining, petroleum and agricultural export industries located elsewhere in the state. Perth's function as the State's capital city, its economic base and population size have also created development opportunities for many other businesses oriented to local or more diversified markets. The inner city of Perth is located alongside the Swan River, it was originally built using convict labor and the historic buildings are testimony to this era. These areas now provide a scenic outlook for Perth and the river is a place for recreational activities, such as river cruises, walking, cycling, water sports and picnicking along the banks. There are some great malls which lend themselves to fun shopping days, such as The Hay St Mall, Murray St Mall, Raine Square, Forest Chase, Barrack St and Kings Street to name a few. Some attractions in Perth are Kings Park, the Botanical garden, Perth Zoo, the Old Mill and Barracks Arch. Then there is the Sunset Coast in Perth, where you can walk along beautiful sandy beaches, swim in the surf or tan in the warm sun. The Port city of Fremantle, a popular spot on weekends for markets, entertainment and alfresco style cafes and eateries, lies just south of Perth on the coast of Western Australia. The Swan Valley Region has more than 40 vineyards many still run by the original families, this area is steeped in history and is one of Western Australia's oldest wine regions. A popular holiday destination is Rottnest Island, it offers a relaxed atmosphere where you can meet the Quokka, a unique little marsupial which is responsible for the islands name. Perth hills offers wonderful bushwalking and hiking trails with rolling hills and valleys of native bushland, wineries and orchards. The district of Northbridge, just outside of Perth offers a range of nightclubs, pubs, cafes and eateries with an eclectic mix of cultures and cuisines. South of Perth in Fremantle which offers further nightlife with a variety of local nightclubs and bars. The Central Business District (CBD) is in Central Perth, if you work in the CBD you may want to live nearby, or along the main commuting routes (freeways and railways - Perth offers a good public transport system). A city lifestyle will be found in East Perth, Subiaco, and some parts of Northbridge and Joondalup. They have higher density housing, apartments and townhouses, with lots of facilities closeby, such as cafes, restaurants, cinemas and theatres. Mount Hawthorn, Vic Park and Fremantle have similar lifestyle facilities, and offer more character and older styled houses. To the North of the River you will find great beaches and better routes into the city, while South of the River has more character suburbs (e.g. Fremantle) with easier access to the Southern areas of WA. If you are looking for a beach home, look towards the Northern Coastal Suburbs, there are also wonderful areas around the Swan and Canning Rivers, while the Hills offer a less suburban-type lifestyle. The Northern suburbs are very popular, this covers the coastal areas from Trig to Mindarie, and the suburbs inland from these. The main attraction are the great beaches in these areas and the availability of new housing developments. There are obviously many factors to consider when deciding on location, such as the schools, location to work, quality of houses, number of facilities available close by, the median house price in an area is a good indicator of how desirable the area is. Schools include both Government and Private schools, with the majority of children going to the former. The school year starts in January and ends in December. Perth has an overall cost of living index which equates it with high cost of living locations. Perth is currently ranked 23 overall, most expensive place in the world for expatriates to live, out of 300 international locations. This means, based on all the above factors, that a person would require a salary of 130,167.72 Australian Dollar (AUD ) in Australia, Perth to have the same standard of living as currently enjoyed in USA, Los Angeles Calif on a salary of 100,000.00 US Dollar (USD ). This salary compensates for the overall cost of living difference of 32.0427%, the hardship difference of 0%, and the exchange rate. Alcohol & Tobacco rank of 37 out of 300. Clothing rank of 142 out of 300. Communication rank of 169 out of 300. Education rank of 20 out of 300. Furniture & Appliance rank of 93 out of 300. Grocery rank of 36 out of 300. Healthcare rank of 16 out of 300. Household rank of 35 out of 300. Miscellaneous rank of 182 out of 300. Personal Care rank of 13 out of 300. Recreation and Culture rank of 23 out of 300. Restaurants, Meals Out and Hotel rank of 24 out of 300. Transport rank of 52 out of 300. Australia is situated in Oceania, a continent between the Indian Ocean and the South Pacific Ocean. It has a generally arid to semiarid climate and is temperate in the south and east, while tropical in the north. The terrain is mostly low plateau with deserts, with fertile plains in the southeast. Brisbane is Australia’s third largest city and the state capital of Queensland. It has a population of around 1.8 million people and is Australia's fastest growing city. Brisbane itself has a wonderful outdoor climate and is known as “The Sunshine State”, with Summer temps averaging 29°C (84°F), while winter daytime temps average 21°C (70°F), however be aware it can also rain a lot, as the devastating 2011 floods are testimony to. Brisbane's economy is diverse. White-collar industries include information technology, financial services, higher education and public sector administration generally concentrated in and around the central business district and recently established office areas in the inner suburbs. Blue-collar industries, including petroleum refining, stevedoring, paper milling, metalworking and QR railway workshops, tend to be located on the lower reaches of the Brisbane River and in new industrial zones on the urban fringe. Tourism is an important part of the Brisbane economy, both in its own right and as a gateway to other areas of Queensland. The city is built around Brisbane River where there is a manmade lagoon at South Bank Parklands which offers sunbathing and swimming. The city is young and vibrant with modern architectural buildings, it is easy to navigate as it is set out in a grid like format. This is a shoppers’ paradise, with five major shopping centers, two department stores and four shopping arcades. The city has a bustling night life with alfresco dining all year round, highlights are the areas of Fortitude Valley and New Farm. There are also a variety of choices of local parks, normally within walking distance of residences and many offer free to use barbeque facilities. In contrast to the compact city living, the suburbs are spacious with wide open acres of land which allow for wonderful outdoor entertainment type living and lie only 40 minutes from the brawling city. Both the SunshineCoast and the Gold Coast are within approximately an hour and a quarter’s drive from Brisbane, which is a major attraction for holiday makers. Brisbane has an overall cost of living index which equates it with high cost of living locations. This report provides you with the rank of Education cost of living indexes as at April 2011 for each of our 300 global locations. The indexes are calculated using the prices for specific quantities of the same goods and services in each location, based on expatriate spending patterns across 13 broad categories (Basket Groups). Our calculators make use of the cost of living indexes, based on your input and Xpatulator's data, to create reports online which you can save, e-mail or convert to a pdf file. The SPPP report calculates how much you need to earn in another location to compensate for a higher cost of living, hardship, and the exchange rate, in order to have the same relative spending power and as a result have a similar standard of living as you have in your current location. Each new SPPP report uses 1 credit ($99).Recommended for a detailed comparison of 2 locations. The COLI report calculates cost of living indexes for the host locations you select, using the home location you specify. You can choose from any one of the 13 baskets or you can choose the overall cost of living index. Each new COLI report uses 1 credit ($99) allowing you to choose 1 home location and up to 300 available host locations. Recommended for the calculation of 3 or more cost of living indexes using your choice of base city.